Here’s some good news for Linux Mint fans. The next update of this excellent Linux desktop distribution should arrive toward the end of November or latest by December 2015. Linux Mint 17.3 aka Rosa will be the third and last 17.x point release. Linux Mint 17, 17.1 and 17.2 users will be able to upgrade to Rosa without having to reinstall the OS. With Linux Mint 17.3, the Cinnamon desktop also gets an upgrade to version 2.8. Although 17.x releases will be supported until 2019, they will receive only bug fixes and security fixes but no new features. 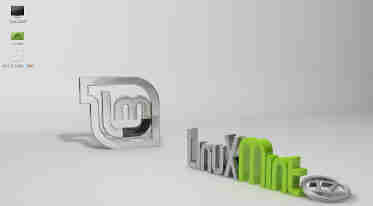 New features developed after release of Linux Mint 17.3 will move into 18.x. According to Linux Mint developer Clem, the release following 17.3 will be Version 18. Linux Mint 18 will start with a new Ubuntu base (version 16.04, a long term release) and come with the Cinnamon 3.0 desktop. Since Ubuntu 16.04 is slated for release in April 2016, I don’t expect Linux Mint 18 to be out before mid-2016. Like Ubuntu 16.04, I suppose Linux Mint 18 too will use systemd instead of Upstart as its init system. I’ve been using Linux Mint 17.2 aka Rafaela (on an old Dell Optiplex 780sff desktop) for several months now and happy to report it’s vastly improved. There have been none of the freezes that drove me crazy earlier. If you have yet to try this solid Linux desktop distribution, I strongly encourage you to do by downloading and taking it for a test-drive via the ‘Live DVD’ version.